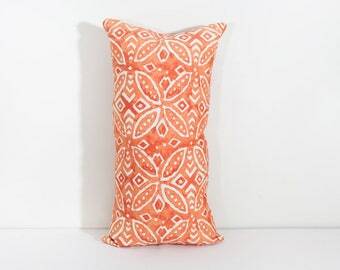 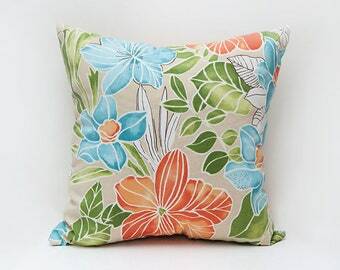 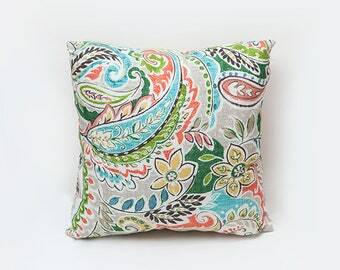 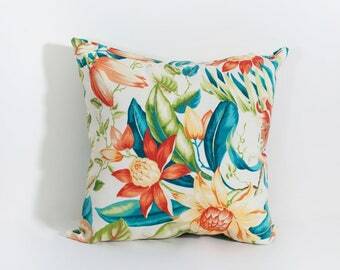 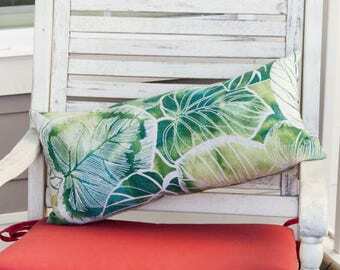 Indoor-Outdoor stuffed pillow made with high quality fabric in a fun tropical leafy pattern doodle print. 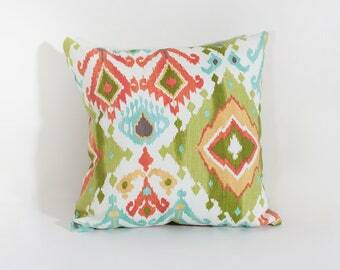 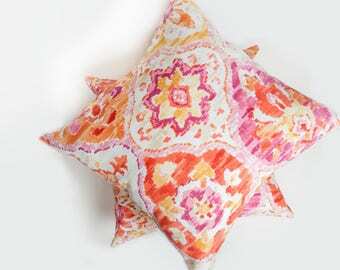 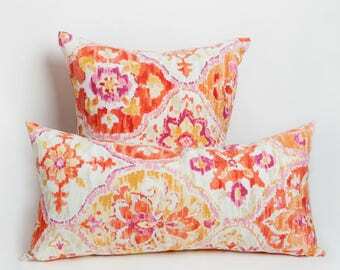 Add some color & cozy to your outdoor or indoor space! 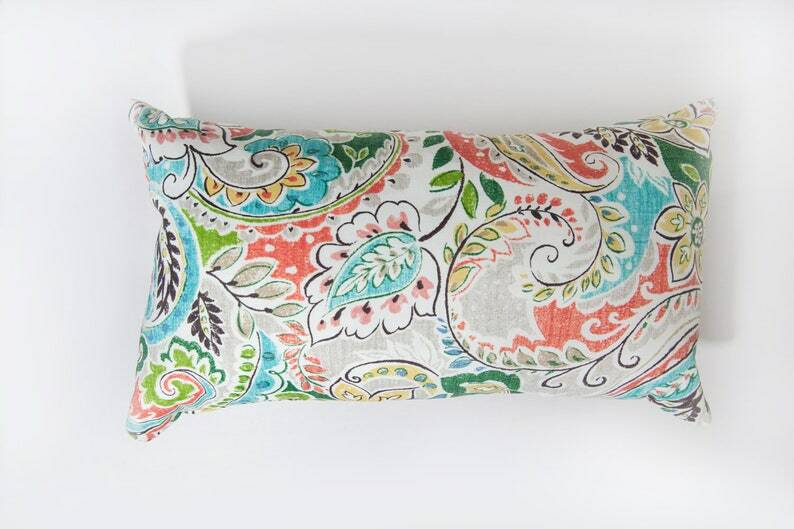 *** Made to order & will take up to 1 week before shipping out.